The Henle blogging community will, we hope, not be disappointed that my text today has, at first glance, nothing to do with the daily Henle editing routine. Normally, we report here about tricky editorial problems and offer solutions. But today – not a sign of solving anything. My posting is a question, almost a cry for help on a topic that has been bothering me for weeks. But let’s start with a domestic scene. 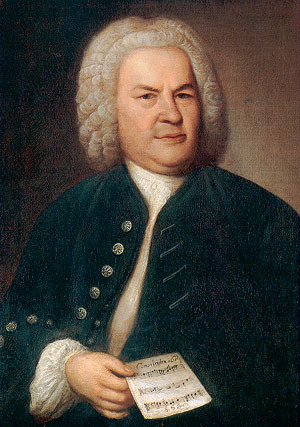 Especially characteristic at the head of Bach’s subject is the alternating leaps of a fifth—sixth—fifth, a1–e2–a1–f2–a1–e2. And it was just this “gesture” that made the connection to the Arpeggione theme in our musical memories. The same tonal sequence in Schubert’s theme, harmonised here in a minor / d minor / a minor, produces the particular colour, the movement’s characteristic inflection. But not only does the intervallic constellation fifth / sixth / fifth match up, but even the pitches do, thus also the key of A minor and beyond that also the first 4 notes of both themes. The first leap a1–e2 in Bach’s subject (measure 1) is solely filled in with Schubert’s passing notes (b1–c2–d2). Deliberate allusion or a coincidence? I myself am not certain. Usually, I’m very sceptical about attempts to surmise profoundly similar quotations from random motif matches. Aren’t these often about ‘universal applications’, musical ‘everyday vocabulary’ that you must compellingly find in countless compositions if only you select the right section? Isn’t that also the case here? Then again, isn’t the matching up going so far that you can hardly speak of coincidence? Especially since both motifs are so prominent at the opening of each piece? I would have said ‘No’ spontaneously. Bach’s fugue first appeared in print posthumously, in 1839, in fact, within the context of Czerny’s Bach edition for the ‘Bureau de Musique de C. F. Peters’. 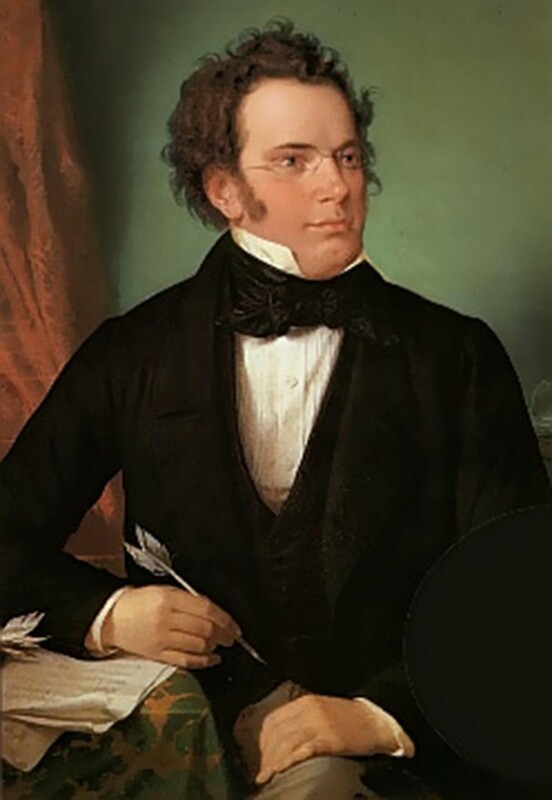 Schubert had already died in 1828 and would consequently have been able to become acquainted with the fugue only from a manuscript copy (Bach’s autograph is not extant). But around 1824, the compositional date of the Arpeggione sonata (see preface to HN 611 and 612), were there copies of Bach works circulating in Vienna, which Schubert could have looked at? This time the answer is ‘Yes’! We know that even before 1800, Bach was being cultivated in Vienna, led by such personages as Gottfried van Swieten or Gottlieb Muffat. Around 1800 we can even speak of a Viennese Bach renaissance, a renaissance much less known than its counterpart in Berlin (keyword: Mendelssohn Bartholdy and the revival of the St Matthew Passion in 1829). Ironically, an important source of the BWV 904 fugue has a definite Vienna connection. It contains only the fugue and the source was perhaps in the possession of Gottfried van Swieten and/or Gottlieb Muffat. At any rate, the famous Viennese autograph collector Aloys Fuchs is known to have owned the manuscript in 1837 at the latest. Fuchs, in turn, can be associated with Franz Schubert: Fuchs took part in the so-called Schubertiades in Ignaz von Sonnleithner’s salon; he is also said to have participated in the first performance of the vocal quartet ‘Der Gondelfahrer’ D 809 on 17 November 1825 in the Vienna Musikverein. There would certainly have been ways that Schubert could have gotten to know Bach’s fugue ca. 1824, at the time the Arpeggione sonata was composed. Perhaps Vinzenz Schuster, for whom Schubert composed the Arpeggione sonata, who likewise socialised at Sonnleithner’s salon and was the owner of an Antiquar-Musikalienhandlung [antiquarian music business] and a Musik-Leih- u. Copir-Anstalt [music lending and copying establishment], played a role as a Bach intermediary? Was the theme borrowing perhaps a kind of “insider” exchange between Schuster and Schubert? This entry was posted in Arpeggione Sonata (Schubert), Bach, Johann Sebastian, Fugue BWV 904 (Bach), Monday Postings, Schubert, Franz and tagged Bach, quote, Schubert. Bookmark the permalink. While I share your skepticism regarding most such musical “quotation”, the fact that the Schubert and Bach share the same key lends support for your theory. In my experience, authentic quotation most often retains the original key. For example, Chopin’s Impromptu no. 4 in C-sharp minor quotes from Beethoven’s Sonata op. 27 no. 2 in C-Sharp minor. Many pieces have been influenced by pieces in the same key from Bach’s Well-tempered Clavier; for example, Chopin’s Etude op. 10 no. 1 in C major. Brahms’ Intermezzo op. 76 no. 7 in A minor, is almost a meditation on Beethoven’s Für Elise also in A minor etc. It would seem that tonality is a very important factor in musical conscious and unconscious reminiscence.